I am the prayers she whispered as she crossed and left her country. I am the pursuit of happiness that led her to the unfamiliar. I am the sacrifice she made as she dealt with betrayal, abuse, and discrimination. I am the encouragement that didn’t let her give up when in frustration, as she struggled with her tongue because she didn’t speak the “native” language. I am the voice she didn’t have when belittled and forced to be silent due to fear and embarrassment. I am the hope for that dream; that better life she chased that was supposed to be on the other side. 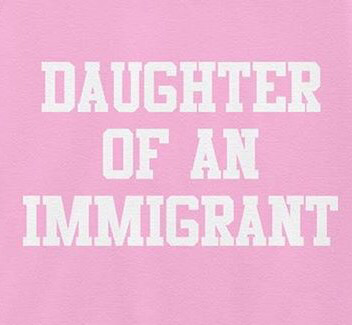 I am the daughter of an immigrant, and its my job to represent her with pride.